Bowater Jackson was born on April 1, 1783 in Surry, North Carolina as the fourth child of Curtis Isaac Jackson and Ruth Beales. Bowater was raised as Quaker. 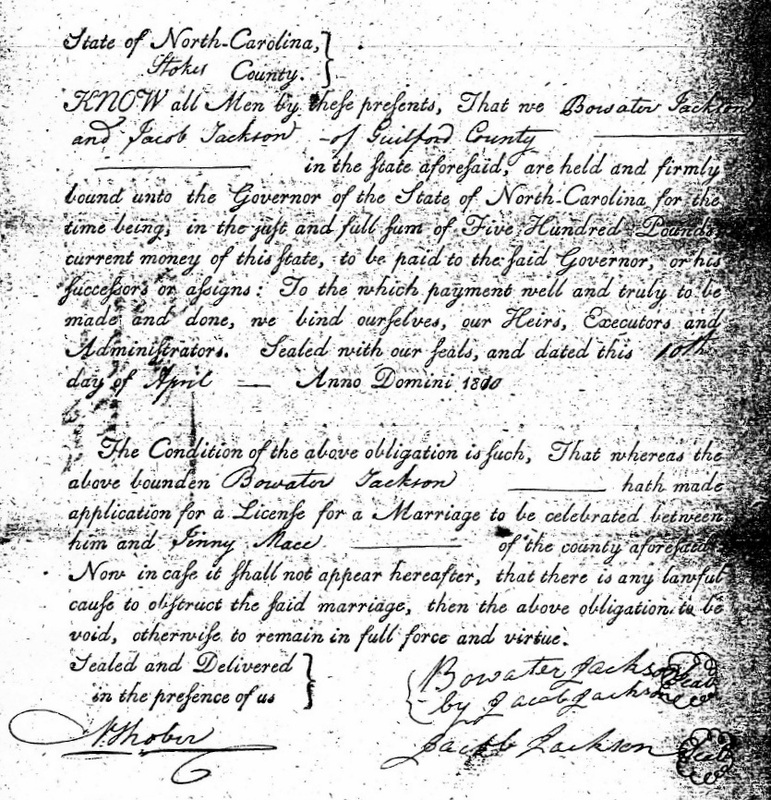 When he was 27, he married Jinny Mace, 21, on April 10, 1810 in Stokes, North Carolina. On June 4, 1810 Bowater was disowned by the Quaker Church for marrying out of the unity. Bowater Jackson and Jinny Mace remained in North Carolina until after their 3 child was born. They moved to Dallas Co, Alabama where they had 8 more children.